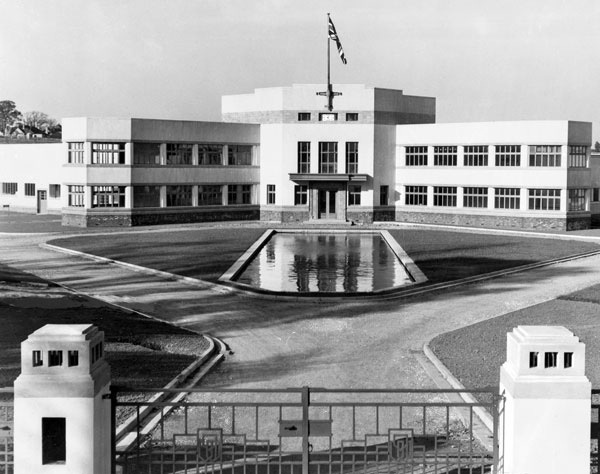 When her family's leather business closed after almost 100 years in the industry, leaving behind an impressive listed Art Deco factory building near Northampton, much of the unique company archive the building contained seemed destined for landfill. The discovery of a set of old sample books, dating back as far as the 1920s and containing hundreds of different pattern and colour variations, inspired Deborah Thomas of Doe Leather to design a new collection of bags and accessories around the archive, incorporating samples from it as zip pulls. 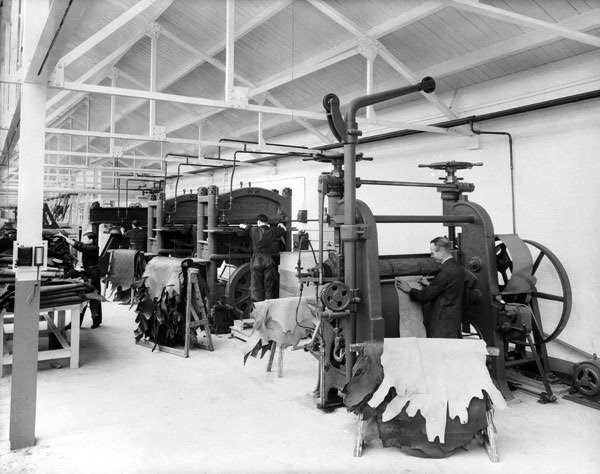 Can you tell us a little about your family's history and heritage within the leather industry? W. Pearce and Co was started by my great, great grandfather in 1908 in a small workshop in the centre of Northampton. 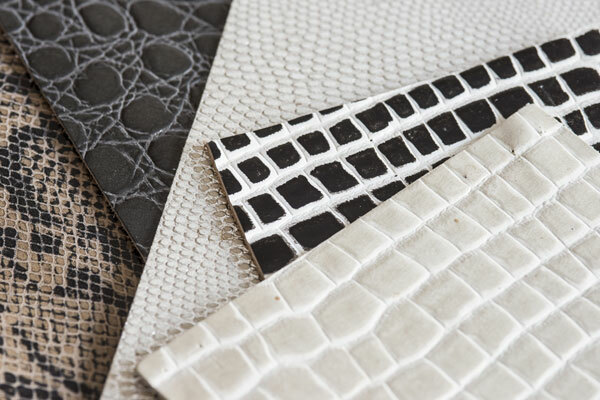 To keep up with demand producing speciality leathers a new purpose built factory was constructed on the outskirts of town in 1939. It soon became world renowned for its embossing techniques, supplying bookbinding, footwear and watch strap manufacturers. Before its demise four generations of family members worked there and I had numerous holiday jobs both at home and in the sales offices in New York and Cape Town. Archive image - W. Pearce & Co. It is the most remarkable building - classic Art Deco lines set in landscaped gardens and an oblong lake in front. There are perfectly preserved parquet floors, chrome clocks and Bakelite phones still there. Sadly the huge warehouse, dye house, wet room, embossing area and finishing rooms are all abandoned now and await demolition. The company ceased trading in 2002 after cheap imports from India and South America flooded the market. (Deborah's father, Michael Pearson, gives an insight into the rise and fall of the company in this interview with the Independent which also includes images of the beautiful Art Deco interiors of the abandoned factory building). Why did you decide that now was the right time to launch Doe Leather? After years working for other accessory companies and witnessing the closure of their British production units, I took some time to consider what to do next. Then we discovered hundreds of old sales reps' sample books last year when Pearce's had to be cleared. Some were ear marked for the Museum of Leathercraft but the majority were destined for the skip. I couldn't bear to see the countless beautiful prints and colours dating back to the 1920s going to landfill and designed my collection around them. 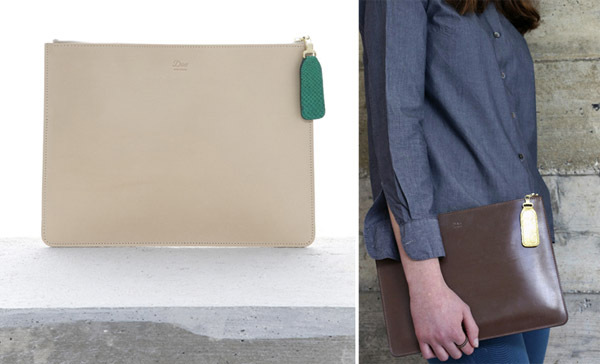 How important was it to you that the designs you sell should be made in the UK? After the decline of my own family business it was vital to me to support another British family run company, and I also knew that I wouldn't find the craftsmanship I was looking for outside this country. In recent decades the UK has lost so many of its traditional industries, with the resulting loss of the unique skills and experience of the people who worked in those factories and workshops. How easy was it to find a UK manufacturer able to produce the collection? Luckily my Dad is still very active within the industry and has loads of contacts! It really helped taking him along to my initial meetings as when you are starting out and only want to commit to small runs, it can be hard to be taken seriously. I eventually chose a company in Walsall for their wonderfully skilled and highly trained workforce specialising in crafting fine leather goods out of luxurious, thick bridle hide. What can you tell us about the print archive? It is incredibly exciting - a unique record of embossing effects over the past 100 years. At its height Pearce's had 600 plates to press onto hides giving a whole variety of lizard, crocodile, ostrich, lizard and elephant looks without endangering wild species. They were pioneers and highly respected innovators in this field. Each time a new colour or print was developed it was carefully recorded in A4 sized swatch books, which could also be used to show customers. Which three words best describe your products? My design studio is at home in Suffolk, the tools for pattern cutting are made in Northampton, the calico for the dust bags is manufactured in Sudbury and the leather goods workshop is in Walsall. I will have wallets and luggage tags ready for Christmas and am also developing a very slim, sleek rucksack. Doe Leather bags and accessories are available from The New Craftsmen shop at 14 Adams Row, London W1, The Museum of Leathercraft shop in Northampton and online at Doe Leather.